The cage comes with a cover that can shield it from rain and wind. Plus, the roof is felted and has a drip edge so that water could run off. Its cleanup will take pretty much time. 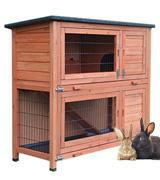 FeelGood is a luxurious roomy hutch that can accommodate even a couple of rabbits. Since it comes with a protective cover, you can place it on the lawn without worrying about weather conditions. The hutch has a large bar spacing, so your pet won't stick between bars. Thanks to the outside position of 2 hayracks, the cage is much roomier. The wooden ladder is a bit flimsy. If you haven't decided what particular small animal you would like to have, this two-storey cage will be the best choice! The hutch is available in 2 sizes and 3 colour options. Being pretty compact, the cage doesn't take much space. Due to the extra high feet, the cage will always be well-ventilated. It's suitable for one pet only. VivaPet hutch can become a cosy burrow for your pet animal. 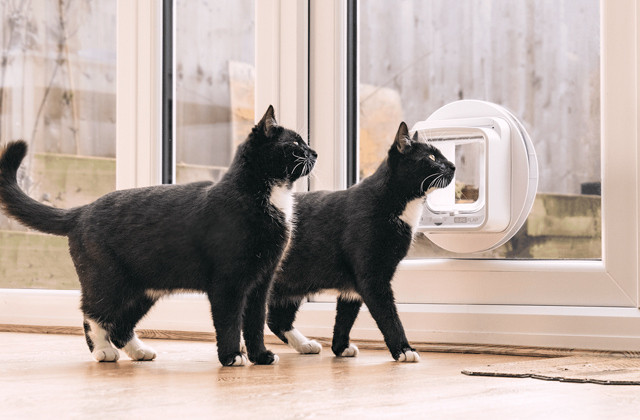 It's suitable for both indoor and outdoor use, which means your pet can live in your room and spend some time outside when the weather is nice. This cell is very easy to assemble thanks to clip fasteners. Its high plastic boards will not allow debris to fly out. The cage comes without a manual. 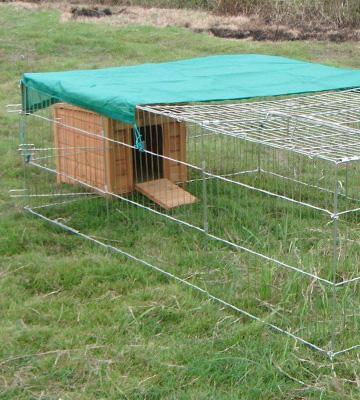 This versatile cage can easily accommodate small and medium rabbits as well as guinea pigs. Owing to its light weight and comfortable handles, you are welcome to carry it around. The benefit of this cage is its bottom or, to be more precise, its absence. 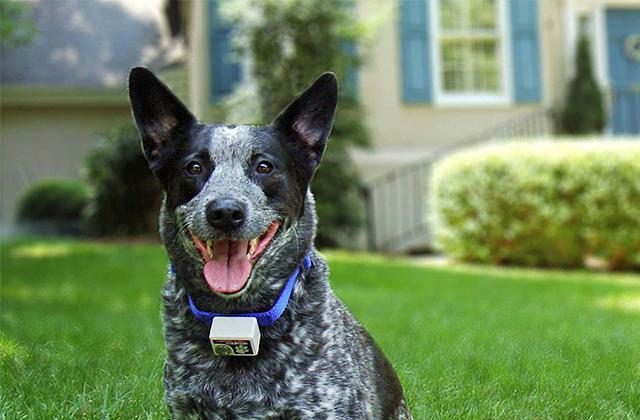 It will allow your pets to enjoy the nature around and grass under their paws. Wood might change its colour over time. 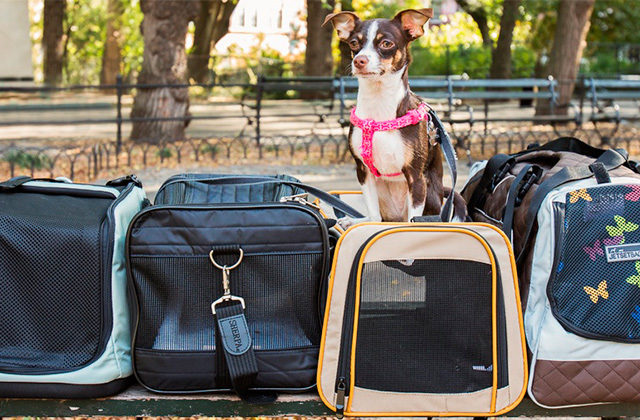 No worries about your pet while being outdoors! You can easily place this cage in a patio or backyard during barbeques. Thus, your rabbit will be able to enjoy fresh air while being within your sight. If you finally have made up your mind to get a fluffy friend, it's high time to buy a good "house" for it. As we have already mentioned, rabbits really need space and comfort. So, if you can afford a spacious cage, get it! 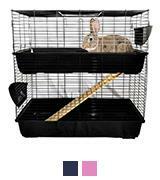 FeelGoodUK Rabbit Hutch is a luxurious large cage with plenty of doors for easy access. The hutch boasts a two-storey design with a wooden ramp providing a comfortable access from one floor to another. Hence, your bunnies will have enough space for rest and games. Plus, each level is paired with a pull-out tray, which significantly simplifies the cell cleaning. 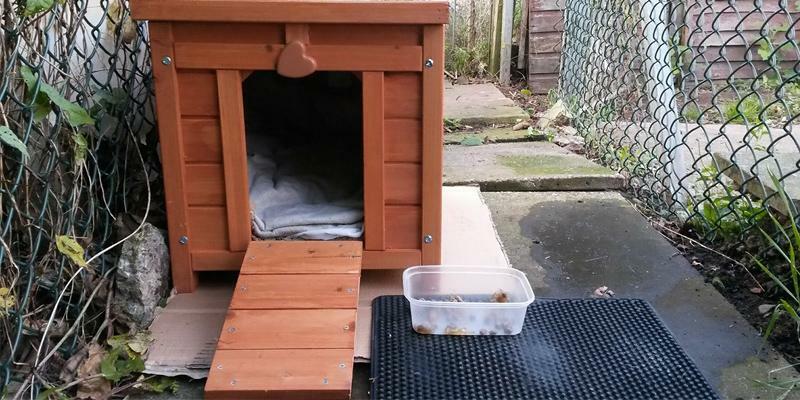 Note that FeelGoodUK Rabbit Hutch can be used both indoors and outdoors. Since the cage is crafted from high-quality fir wood covered in waterproof non-toxic paint, the cage is weather-resistant. Yet, to provide 100% protection, the manufacturer supplies this hutch with a cover to protect it from severe wind or rain. Perfection in every detail! 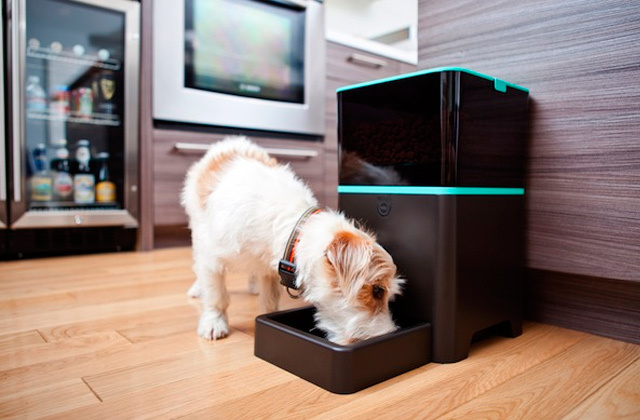 If you want your furry pet to have access to water around the clock, we suggest you get a pet bowl. 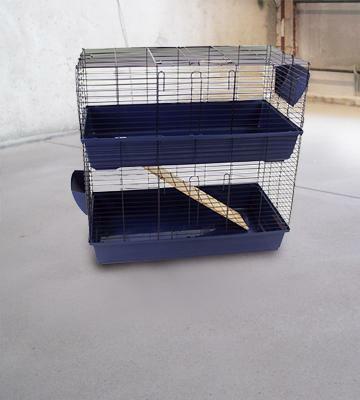 Those who have not yet decided what particular small pet they want to have should get this super versatile cage! 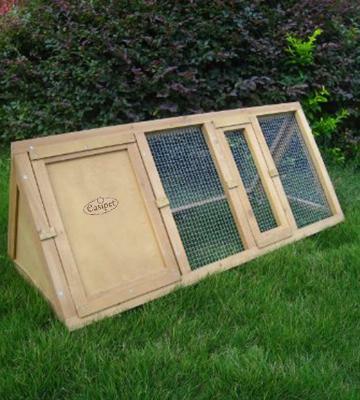 Easipet Indoor Hutch can become a roomy habitat for rabbits, chinchillas, and guinea pigs. And since the cage has a two-storey design, it is able to accommodate even several pets. 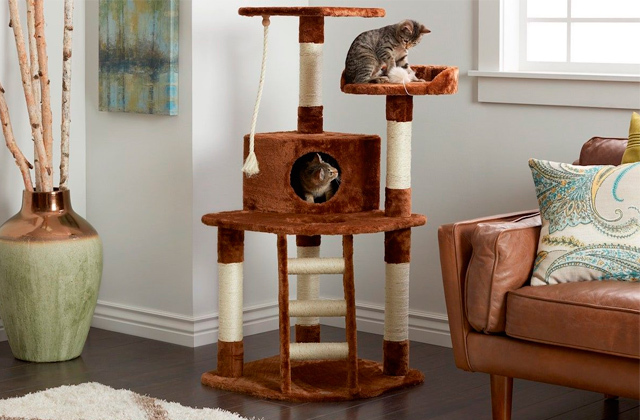 Just imagine how much fun they can have playing downstairs and resting upstairs. If you plan to buy only one bunny, you can focus on a Large model (100x100x52 cm). However, if you're going to become a happy owner of a few pets, we advise you to choose an Extra Large cage (100x120x52 cm). Furthermore, in order to emphasise the individuality and the gender of your pet, you can choose blue, black, or even pink hutch. Since the top of the burrow has no roof that could protect your furry friend from rain, it is suitable for indoor use only. So, if you really cater for the wellness of your small pet, get this fantastic hutch, place it in your room and enjoy your time together! To neutralise unpleasant odours and kill bacteria in a cage, consider buying a good disinfectant cleaner. 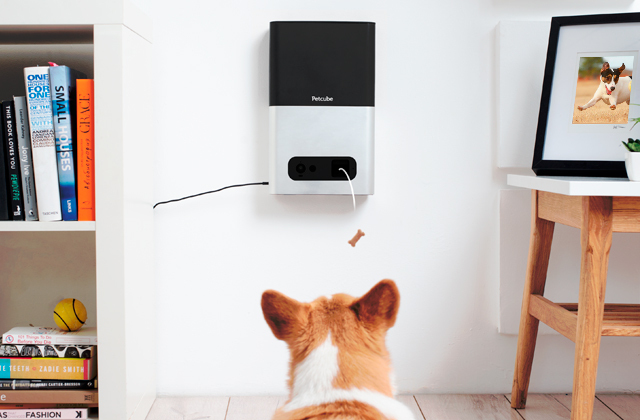 Perhaps, pet owners having very little spare space in their homes want to get a compact yet comfortable house for their fluffy friends. If you are one of them, have a look at this wonderful wood rabbit house by VivaPet. It has a fairly small size and can be placed either in your room or in your backyard. Being made of quality wood, the cage has a pretty simple design with just one front door which can be used as a ramp as well. Moreover, to provide your pet with the maximum comfort, the manufacturer has equipped the burrow with extremely high feet that guarantee excellent air circulation beneath the hutch. In a sum, due to the water-resistant wooden roof and high legs, VivaPet Wooden Hide Rabbit House can be placed either inside or outside, for example, in your living room, backyard, patio or somewhere else. You are welcome to buy this comfy hiding place to keep your bunny indoors during cold winter and outdoors during warm summer. Dog lovers! 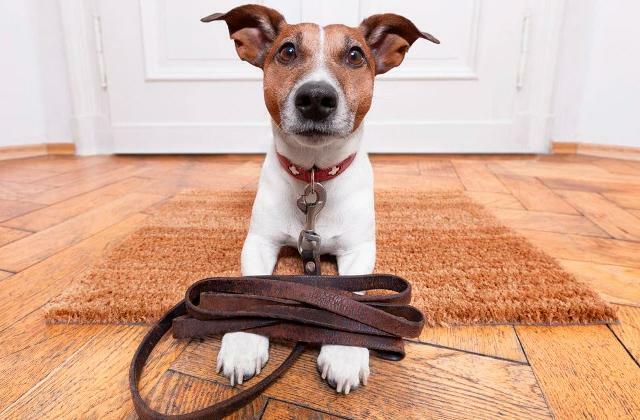 You surely need a pet fence to protect your smallest pets from your active dogs. 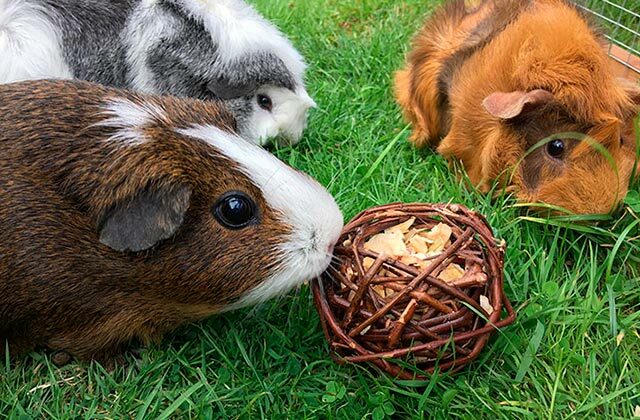 If you have never had pets but now would like to own one, you certainly need a simple starter cage. And here, Heritage Indoor Rabbit Cage will surely come in handy! To begin with, its setup is absolutely simple owing to plastic clips and putting it together will take you no longer than 10 minutes. No tools mean no efforts required. Fully assembled, the cage consists of two parts, a plastic bottom tray ensuring sturdiness and a wire top creating an airy ceiling. To get an access or to feed your sunny-bunny, you can open either front or top opening lid. Note that thanks to this top door, cleanup will be a breeze too. Additionally, this cage is fitted with a hay guard which is located outside the habitat to provide more space for your pet. 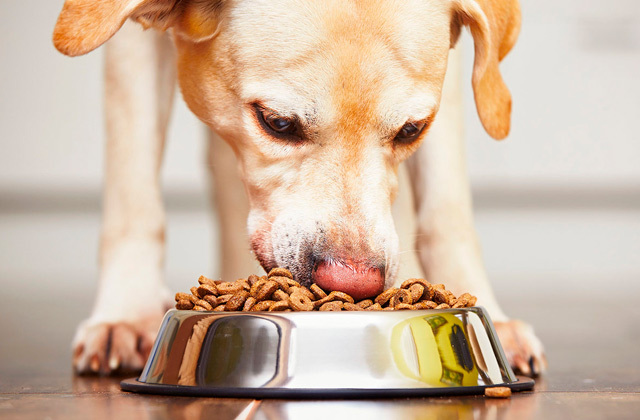 So, your pet will always be well-fed. 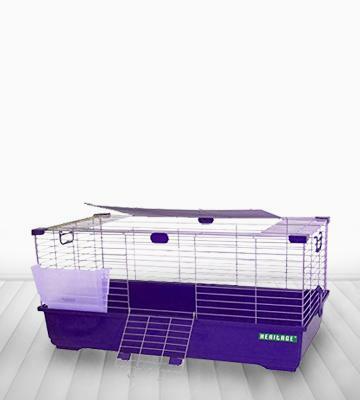 Since the hutch is not super large, it's most suitable for guinea pigs or dwarf rabbits. 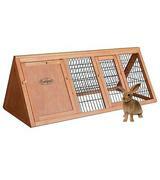 Heritage Indoor Rabbit Cage comes at an affordable price and is a great value for money. To take care of the cage, you can additionally purchase a small dustpan with a broom. 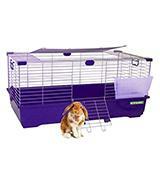 Easipet Triangle Rabbit Hutch really stands out from the large variety of pet houses. It has got a triangular frame that is pretty lightweight and easy to move. What's more, the cage is divided into two zones, sleep and run areas. A comfortable nesting area will give your bunny some space to have privacy or sleep, while a run area will let your pet stretch full-length or run a bit. 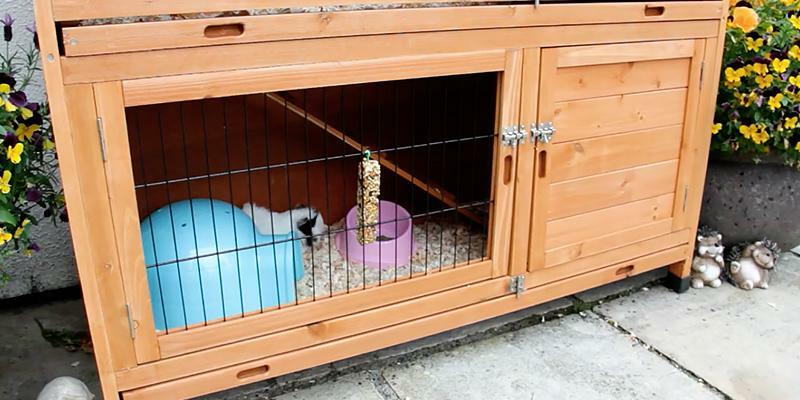 Plus, its wired walls will provide your rabbit with great air circulation when being outdoors. Yet, the hallmark of this pet cage is its bottom or, to be more exact, its absence, which allows you to place this bunny habitat right on a grassy ground. Rabbits love eating grass and going out on nice sunny days. This really makes them happy, and it goes without saying that happy pets make for happy owners. So, if you want your pet rabbits to enjoy their time in your backyard, nibbling leaves and grass, Easipet Triangle Rabbit Hutch will be an excellent choice. 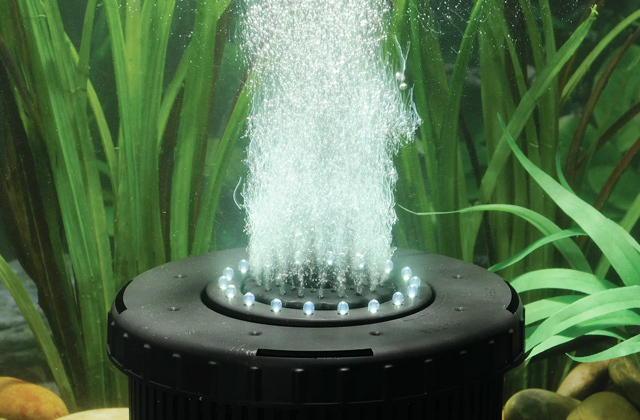 As the cage comes without additional accessories, you might need a water feeder. If you have finally decided to purchase a fluffy rabbit, remember that we have to provide comfortable living conditions for our bunnies. Your bunny will not be able to visit the shopping centre to buy a bed to sleep in. So, it will be your responsibility to make sure that the future "burrow" will meet all physical and mental needs of a rabbit. Therefore, be responsible and try to choose the best hutch for your new pet. A rabbit hutch is a place where your pet will spend most of its time eating, drinking, sleeping, walking, and having fun. Bunny's accommodation will be its whole world. So, our task is to make our rabbit regard its cage as a sweet home. Thus, it is vitally important to choose the best hutch for your future friend. Indoor and outdoor cages come in a large variety to fit different bunnies, from the simple metal wire cages to the deluxe multistorey models. What is more, some hutches can have an additional water bottle, food bowl, a box for hay and toys etc. 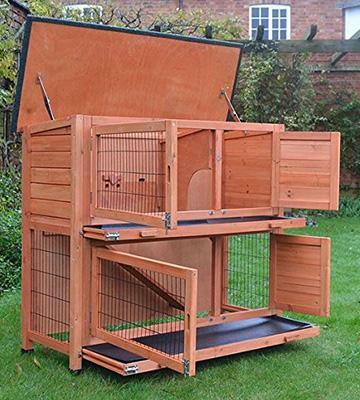 We have surfed through the ocean of choices and selected 5 best rabbit hutches. 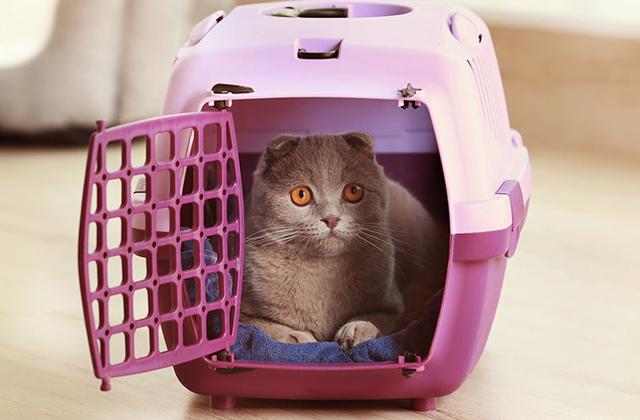 Those users who'd like to travel with their small pets may also be interested in reading our review on the pet cages and crates, one of the most convenient means of transportation, designed for fluffy friends. The first thing a future owner should determine before buying a hutch is where he or she wants to place it. Nowadays there is a wide range of cages for indoor and outdoor use. People who want to have dwarf rabbits may choose either a small or medium-sized hutch that can be placed inside a house or apartment. But if you plan to have a bigger rabbit or even several of them, the best option will be to purchase a large cage. It is advisable to put big cages outside, but if your huge living room looks a bit sparse, you are welcome to place a cage right there. And, of course, it will be a great advantage if a hutch has an elegant wooden design that bears resemblance to a real house. The size of the hutch, home, cage, room, shed, or 'burrow' is an acute topic of hot debates. 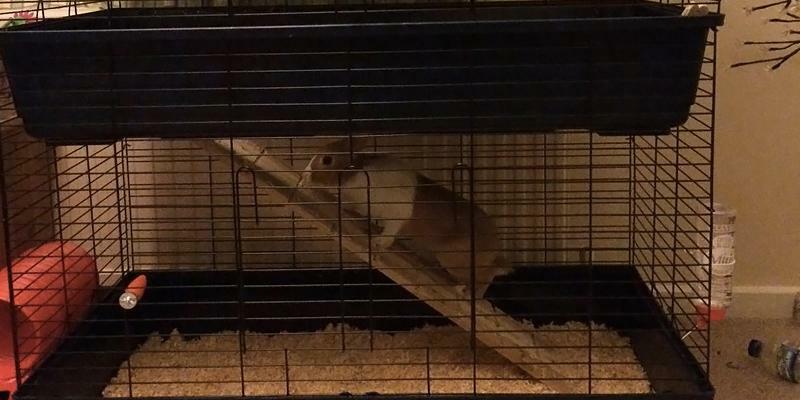 Rabbit's comfort totally depends on a cage size. It goes without saying that the best scenario is to purchase the largest hutch that would fit in your room/backyard. Bunnies are really happy in spacious hutches, they like space, they need space. So, the bigger the better. 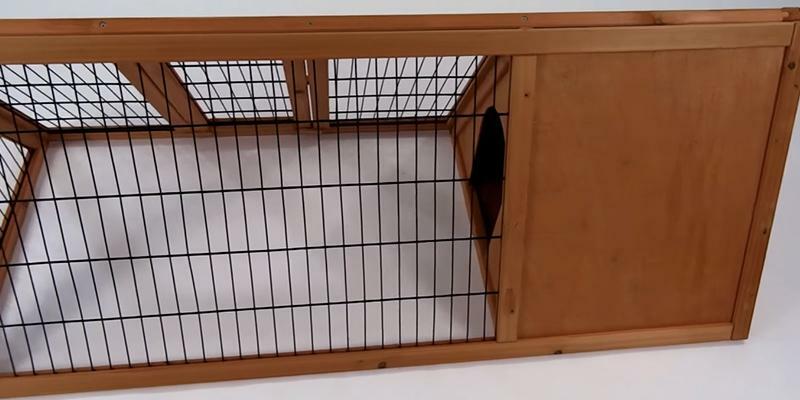 Overall, we recommend you to choose the cage where a rabbit will be able to stretch full-length easily. Naturally, a material of the hutch is a vitally important feature. In order not to harm the health of your pet, it is desirable to choose a cage made of non-toxic materials. This is especially important for outdoor hutches. We strongly recommend you to select wooden outside models, which are weather-resistant. On the contrary, it is advisable to choose a metal/plastic model if you plan to place it inside. They are easy to clean and move around a house. Each model has its unique features which can provide your bunny with an extra comfort. Some models have a so-called nesting box. Pets like this place and can rest there after various activities. They can also hide there during very hot and sunny days. 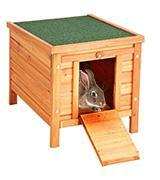 Moreover, some hutches are equipped with ramps which allow rabbits to trap from one level to another easily. Furthermore, you should also consider the bottom of the cage. For example, if it is wired, you ought to put a special rug, since a grid may be uncomfortable for paws. Speaking about cleanups, some large cages are fitted with a plastic pull-out tray for an easy cleaning. As for small hutches, you will be able to open a roof. To sum up, we hope that our review will help you make the right choice and, as a result, both you and your pet will enjoy a new house. 1. Pippa Elliott How to Choose a Rabbit Cage, wikiHow. 2. 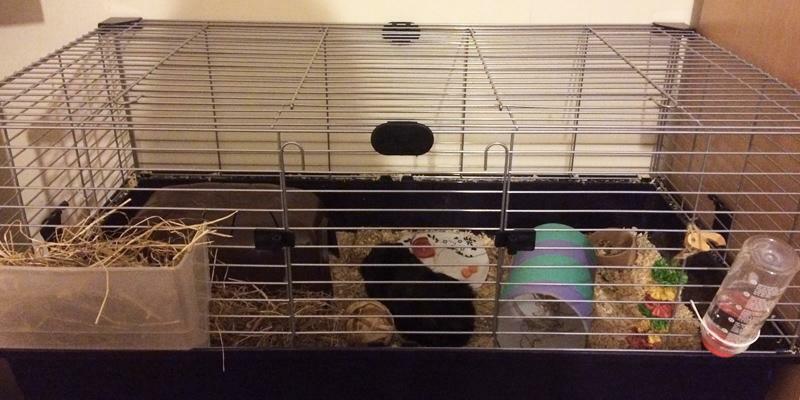 How to Choose the Right Rabbit Hutch or Bunny Cage, eBay. July 30, 2016. 3. Lianne McLeod Pet Rabbit Housing, About. October 29, 2016. 4. How to Remove Urine Scale from a Pet’s Cage, How To Clean Stuff.net. 5. How to Care for Domestic Rabbits, Petfinder.